Well done on completing your first 100 Word Challenge story Ryan! Oh dear. Oh dear, oh dear, oh dear. I remember that dark, dark day very well. My poor, beloved Arsenal. Torn asunder at Old Trafford. I don’t think I’ve ever felt as bad after watching the Gunners play! You described the game very well. Good work! Hi Ryan. I think there’s a job out there for you as a Commentator. You did a brilliant job describing the match. You certainly know your players!!! You did a great job working the prompt into this epic drama! Great story good work Ryan. I’m wondering if your whole class are Manchester United supporters? I’ve read a few stories about Man U beating other teams. I have to admit though, that even though I’m not a Man U fan myself, your descriptions of the game nearly had me shouting for them BUT I resisted. Well done. 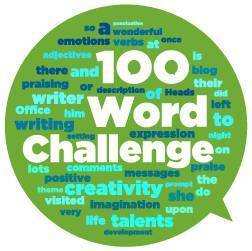 Great 100 word challenge.